Venkat Guntipally, of Fremont, California, was sentenced to 30 months in prison for his role in a conspiracy to commit visa fraud, obstruction of justice, use of false documents and mail fraud. 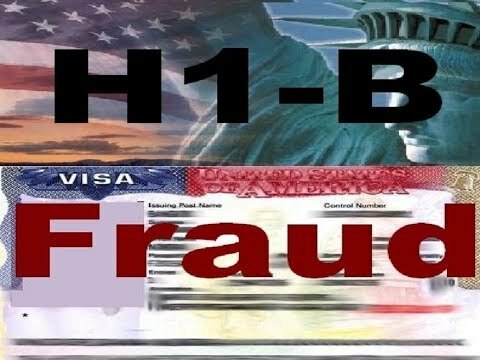 The underlying crimes involved the submission of fraudulent applications for H-1B visas. Guntipally and his wife founded and owned DS Soft Tech and Equinett, two employment-staffing companies for technology firms. From 2010 to 2014, Guntipally and his wife, together with others, submitted to the government more than 100 fraudulent petitions for foreign workers to be placed at other purported companies. The end-client companies listed in the fraudulent H-1B applications either did not exist or never received the proposed H-1B workers. None of the listed companies ever intended to receive those H-1B workers. The scheme’s intended purpose was to create a pool of H-1B workers who then could be placed at legitimate employment positions in the Northern District of California and elsewhere. Through this scheme, Guntipally, along with his co-conspirators, gained an unfair advantage over competing employment-staffing firms, and the Guntipallys earned millions in ill-gotten gains. In addition to the prison term, the Judge ordered Venkat Guntipally to serve three years of supervised release and ordered him to forfeit $500,000. All three of Guntipally’s co-defendants previously pleaded guilty to their respective roles in the scheme. Last year, Sunitha Guntipally was sentenced to 52 months in prison, Ramireddi to 14 months’ imprisonment, and Kondamoori to 20 months’ imprisonment for their respective conduct. These convictions are more evidence that the Trump administration is serious about stamping out fraud in the H1B visa program. If you want to know more information on employer immigration compliance, I recommend you read The I-9 and E-Verify Handbook, a book I co-authored with Greg Siskind, and available at http://www.amazon.com/dp/0997083379. Last edited by BBuchanan; 01-21-2019, 09:25 AM.